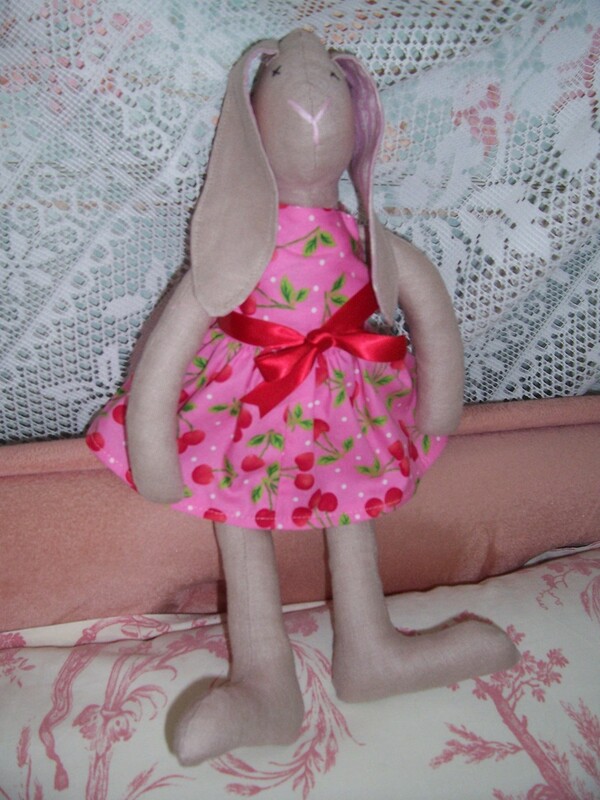 Inspired by the post by The Little Tailoress back in February 2014 and using the pattern from Tilda’s book Crafting Springtime Gifts I have made an Easter Bunny. 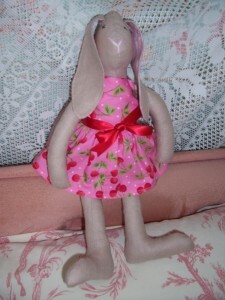 You can’t go naked so “Bunny” is wearing a little dress made from a scrap of Jubilee Cherries cotton print. She now sits on the bed along with Gregory the Teddy (who is older than me!) and Jemima Puddleduck.